Amy, thanks for those little gems of information on tombstones. Amy, I am working on a book about Maryland Civil War veterans and I would like to use your image of Sgt. R. Shipp with proper acknowledgement to you. Are you willing to allow me use of this image? Many thanks. Of course! I can send you a higher resolution image if you’d like. Happy to link to this great little primer from Pinterest and Geni. Thanks for writing it! We live in Elmira, New York, site of the infamous Federal CW Prison “Helmira” where many Confederate soldiers died 1864-1865. Touching part of the story is a former runaway slave John Jones, dug a grave for each, provide a decent burial to those men far from home, as well as write a letter to the families. Among the dead, he even discovered the body of the son of his former Master. 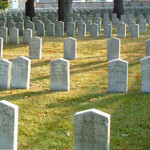 The cemetery of Confederate POW’s is situated alongside the National Cemetery where Federal soldiers lay. Both dead are honored and the contrast of unique headstones is art. I invite you to explore the sites online: Elmira CW Prison, John Jones, and the CW Cemetery. What an incredible story. I will have to check that out. Thanks for sharing! My second-great-grandfather was held at Elmira, though he made it home to North Carolina. This proud Yankee appreciates you raising awareness. What a wonderful way to get your daughter involved! My daughter also accompanied me on many cemetery trips (which is what prompted this post to begin with.) It is sad to think of the men on both sides of the war who died and are buried so far from home. What a wonderful idea! As a homeschooling mom, this connects us to our history and humanity in so many ways. Thanks for sharing. As we have loved ones buried in these places, there are no small stories. 149 years ago, My great great grandfather from South Carolina (11 Inf SC) was captured,interned and died in Pt Lookout Federal Prison, Maryland, in an unmarked grave. I have visited the prison camp, and I am certain I am the first in our family to do so. It is a spiritual “thin space”, were we get closer to the life force of others. It puts another dimension to a Family History. I agree. Visiting a cemetery is one of those rare occasions when we can walk where our ancestors walked and be where they are. There’s nothing quite like it. Not meaning to throw cold water on your explanation but I ordered a headstone for my ggf. 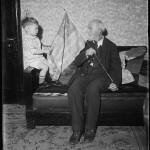 He fought for the South during the CW, survived and lived to 1934. A couple years ago we placed the headstone in the Henderson Cemetery, adjacent to the Henderson Baptist Church, Webster County, Missouri. You’ll find his headstone in FindAGrave. It has a rounded top and clearly shows he fought with the CSA. Not to say that all military headstones are done correctly 😉 Indeed, you do find more often that modern stones (either replacements or new stones for unmarked graves) are not done with the standard symbolism that they are supposed to, especially for earlier wars. Government issued, but I am informed these headstones replaced original wooden markers which had served their time. As a pastor in Elmira, I once accompanied strangers, some GGGgrandaughters from SC to a grave there, and she dug up a small cup on sod and said,”I’ve come to take you home Grandpa”, then she cried, I cried, we all cried, and we all had prayer. Priceless memories. After many years of searching for my gr-grandfather’s gravesite I finally found it in Walpole, NH. After 2 attempts I finally got a govt. stone ordered. My Mom and several relatives set a date to go to NH and see the stone set where it belonged. What a moving experience. He died in 1929 and had lain in an unmarked grave all those years. The relatives and I had a picnic in the cemetery and watched the marker be set by a wonderful man who thanked me for honoring my “hero” Hoxxey C. Rogers, Co. I, 2nd VT Volunteers. 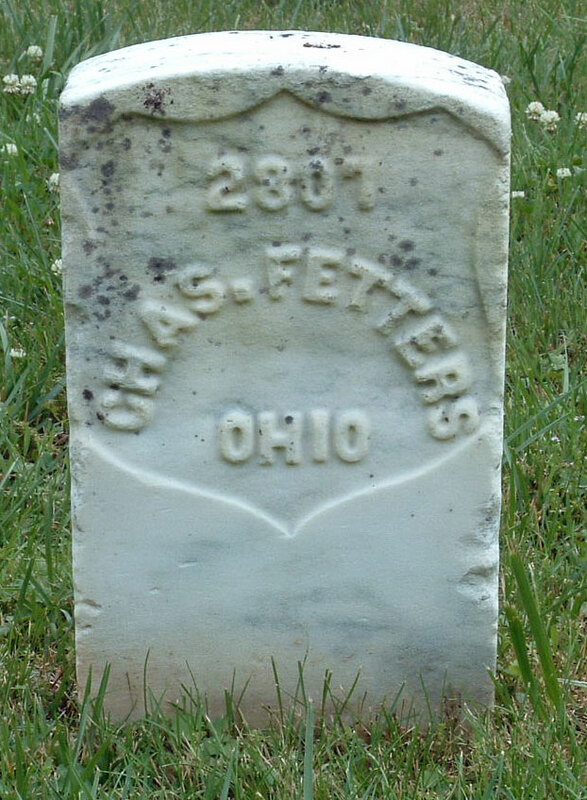 He served for 4 years and was wounded at Fredricksburg, but lived to tell about it. How wonderful that you got a tombstone for him! I can imagine that seeing it set was indeed a moving experience. Where do you write to order a missing grave stone? Hi Paula — This page on the Department of Veterans Affairs website has information about replacing military headstones: http://www.cem.va.gov/cem/hmm/replacements.asp If it wasn’t a government-issued military tombstone, you might want to see this page about eligibility. If neither of those pages have the info you need, a good place to get help would be your local Veterans Affairs office (either the federal agency or a local agency. 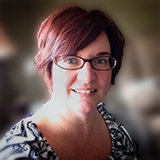 Local agencies can be good at helping people navigate through the federal bureaucracy.) Good luck! I once heard somewhere that the Confederate stones had a pointed top to keep people from sitting on them. Is there any truth to that rumor? I’ve heard that, too. I suspect that it’s an urban legend, but I could be wrong. I’ve never seen a “official” reason for the shape. I heard a little different story on the Confederate pointed tombstones. Bear in mind that all of my Civil War ancestors were Union soldiers. The point is to stick it to a Yankee dumb enough to sit on a Confederate marker… a rebel would not be so disrespectful! Does it have any validity, who knows! I live in Fredericksburg (Marcia, if you haven’t visited yet, I recommend it. 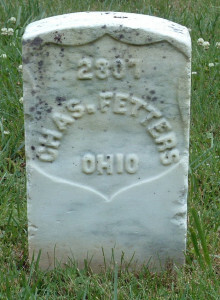 ), and find it interesting that the cemetery at the National Park site only contains the graves of Union soldiers. There is a Confederate cemetery in the downtown area. None of these graves have the standard headstones, perhaps because they were place pretty early. Amy, I never cease learning from you! 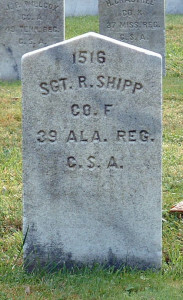 While I generally agree I recently found a confederate ancestor and his headstone is rounded at top and not flat? I can send you the pic? Sure! Keep in mind that mistakes happen, especially if the stone was put up long after the death or was a replacement stone. Of course, if it is a private (non-government) stone, it can be any shape. Andersonville or Fort Sumter,all headstones are the same shape. On Memorial day, Confederate and Union graves are decorated. Each state that had a soldier die there has placed a huge memorial to honor their deceased.